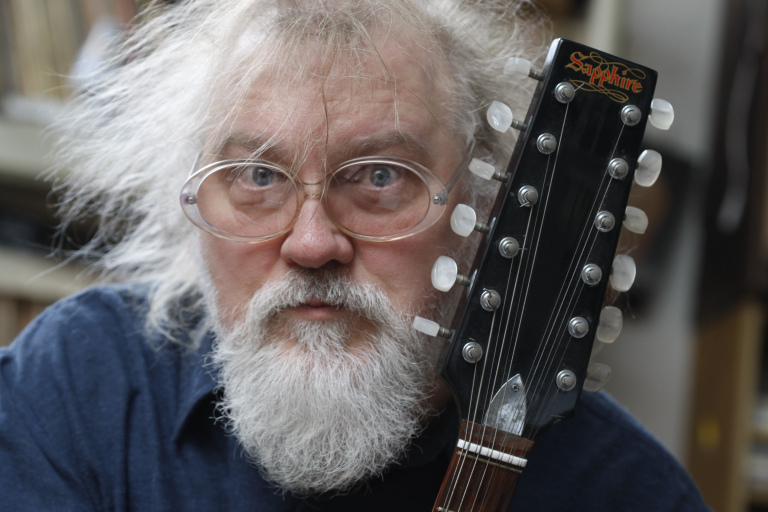 This week, I’m proud to point the mighty LOUIE LOUIE spotlight at the artist known as R. Stevie Moore. 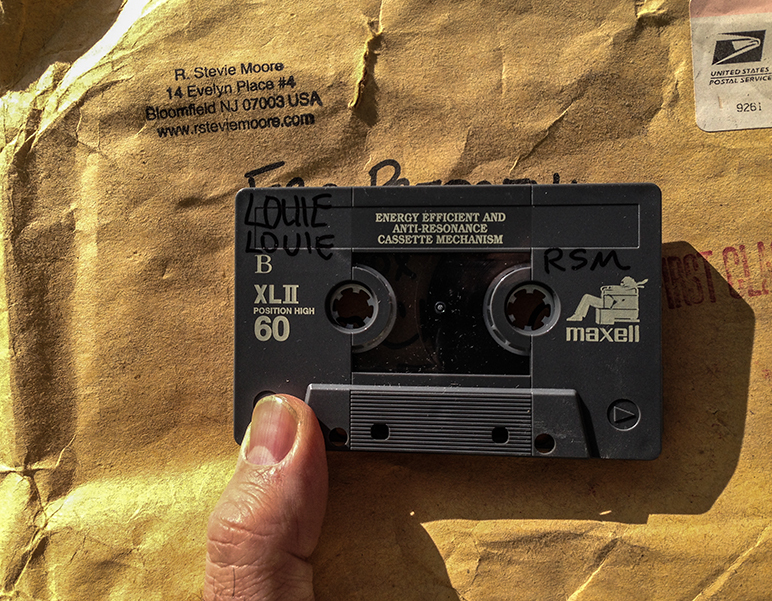 My first exposure to R.Stevie Moore music was when he sent me a LOUIE LOUIE cassette ages ago.. I have to confess it took awhile for me to digest his version. Like a handful of other things sent to my PO Box, I didn’t quite get to it in a timely manner. Anyways, fast forward to a few years ago. With the new conservations initiated by the new-fangled social networks, I reconnected with R. Stevie, and wound up becoming a big fan of his music. “Prolific” is a rather mild way of describing the output of R. Stevie’s legacy. He’s one-man music machine that’s been creating music for over 50 years, and has released over 400(??) albums. Stevie is a pioneer of low fidelity music. His love began at a young age, writing and recording tracks out of his basement. Years later, he took home recording to the next level, producing over 4,000 songs and finding fans in bands like the Talking Heads and The B-52s. Now, he’s moving up and out of the basement, playing at concerts and festivals around the world. R Stevie Moore: The Cool Daddio from Spring Films on Vimeo. R. Stevie created a lot of really catchy pop music. Check out this one – “Wayne Wayne (Go Away).” Great hooks and some hypnotic harmonies that remind me of the Beach Boys. “Hug Me” is another super-catchy little number. Like one of my longtime faves “You’re Breaking My Heart” by Harry Nilsson, this song shares some warm ‘n fuzzy thoughts about love stuff in a funny, somewhat naughty kind of way. Getting back to the subject of LOUIE LOUIE, I’m proud to share R.Stevie’s version of Richard Berry‘s immortal song, as heard during the 1984 KALX LOUIE LOUIE marathon. It’s actually 3 (maybe 4) different versions, assembled as one big movement, which I transformed into a little video, using a lot of public domain footage. It starts off with a version that samples heavily from low-fi copy of the Kingsmen recording, and then ends with a rather manic version of the song (at 3:43), accentuated by some snippets from a wild little 1938 animated film produced by the Jam Handy Organization. 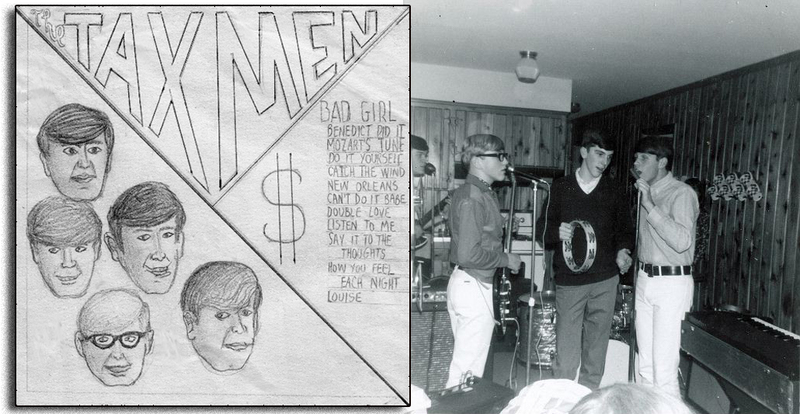 R. Stevie Moore also played LOUIE with one of his early bands The Taxmen which existed in 1966-1967. You can hear (and buy) a recording of the Taxmen doing LOUIE at the 1999 Reunion by visiting his Tax Men BandCamp page. His BandCamp page, which encompasses his old R. Stevie Cassette Club (launched in 1982), is a massive playground to explore. Go visit him, and tell him LOUIE sent cha!